Living in San Francisco, it’s not uncommon that I hitch an Uber when I need to get around the city. Debates on Uber continue to make headlines: How should we regulate ride-sharing? Is riding with a stranger safe? Is Uber’s surge pricing unjust? How does ride-sharing impact congestion? While these debates swirl in my head, I can answer for the goodness of Uber immediately and from my heart: Uber is healing the world, one ride at a time. Here’s why: Take a typical morning commute. The other day, I felt ambitious, getting up before dawn to work out during pre-business hours. I called an UberX. 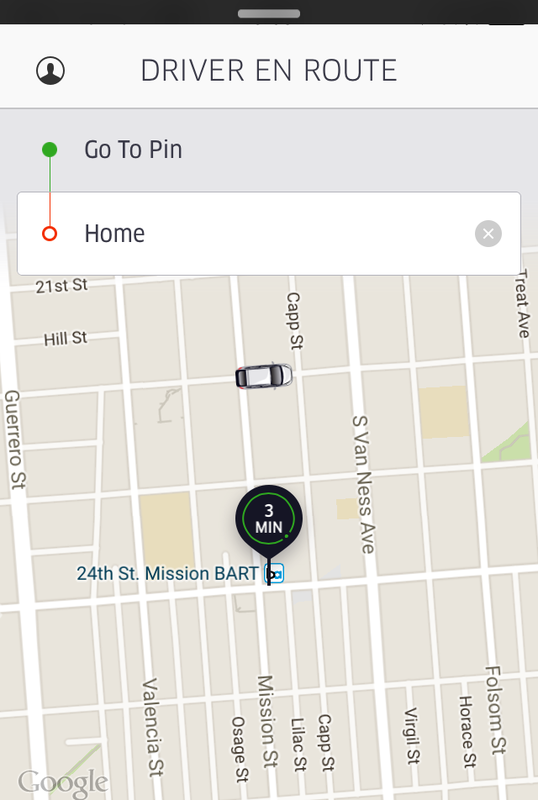 As always, when I matched for a ride, the driver’s name and photo flashed on my screen. It was DeAndre,* a forty-something black man driving a Prius. His photo showed a wide smile and beautifully-coiffed dreadlocks. My reaction to seeing a driver’s photo is immediate. Each time, I have a knee-jerk reaction to their most basic demographic details. And, to be completely honest, I have a different reaction to Stephanie, the white, blond twenty-something on my screen versus Jian, the fifty-something Chinese man coming to pick me up. This is where Uber starts to work its magic: my human biases, typically lurking beneath the surface, come to awareness with the flash of the app. While I am embarrassed by these initial reactions, the last few months of studying unconscious bias have helped put this in perspective: Neuroscience proves that acting with bias doesn’t make us bad people, it makes us human. Given the richness of experience, it is impossible for our brains to process all the information we receive. Instead, we process only a fraction of this information consciously while allowing our unconscious brain to sort through the rest with the help of pattern-recognition. These patterns come from our personal experience and broader societal context (both good and bad). This approach can be helpful; we are able to quickly distinguish a butterfly from a bee and act accordingly. Unfortunately, this approach can also be harmful. When making decisions about human beings, for example, we automatically make assumptions about people, my collection of Uber drivers included. We apply implicit stereotypes according to others’ race, gender, weight, age, and innumerable other dimensions. We’re biased against those who look different from us, and even, in some cases, against those who look like us. Thus, when the face pops up on my app, it brings awarenes sot my crazy web of biases. But here is the second thing about Uber: I am not limited to living within my biased assumptions about these people. Instead, as we zip across the city, I get to spend a perfectly-orchestrated five, ten, or twenty minutes getting to know the person beyond the assumptions. It is the perfect set-up: a complete stranger, a delimited amount of time, and a willingness to talk. It is my opportunity to connect across differences and prove to myself just how wrong my biases are. In the course of everyday life, it is an opportunity that you can find nearly nowhere else. After calling an Uber the other day, I jumped in with a forty-something Middle Eastern man named Muhammad. If I had jumped in a taxi with him, I would have kept to myself, falling in line with the norm of silence and ticking through emails on my phone. I would have left the car the same that I entered it. Instead, I met him as a human being. I asked him opening questions that went deeper and deeper: “How long was he driving today? What does he do when he’s not driving? What’s important about that?” I found that Muhammad spends his days as a stay-at-home dad. He loves to play bongos on the beach while his daughter dances. In addition, he planned to take his kids out to their favorite Neapolitan pizza place for dinner that night. I left the car after looking at pictures of his kids and an enthusiastic mutual handshake. I’m grateful to all my drivers for connecting across humanity, teaching me about their lives, and reprogramming my biases about what is possible. I’m grateful to the traditionally-dressed African man who gave me lessons on veganism. I’m grateful to the gay Palestinian who reminded me how brilliant the Bay Area can be. I’m grateful to overweight suburban dad who gave me a recipe for lean broccoli casserole. I wish you all many delightful Uber-enabled interactions. Post your best stories in the comments below.